Custom manufactured clad metal wire that can combine properties such as high strength and conductivity, radiopacity, and biocompatibility to improve design flexibility is available from Anomet Products of Shrewsbury, MA. Anomet Medical Clad Metal Wire can be formulated to achieve a combination of properties such as high strength for improved fatigue life with good conductivity with bio-compatibility and radiopacity. Enabling designers to replace solid precious metal wire with a composite wire that incorporates a combination of desired properties at a lower cost, clad medical wire can be integrated into a variety of implantable devices. Offered in 0.003” to 0.060” O.D. sizes, with 2% or more cladding thickness, Anomet Medical Clad Metal Wire can include precious metal cores or claddings such as platinum for oxidation-corrosion resistance and biocompatibility, gold for contact resistance, tantalum for radiopacity under fluoroscopy, and silver for conductivity. Other alloys that can be incorporated into the design include niobium, molybdenum, MP35N®, Nitinol, and stainless steels. 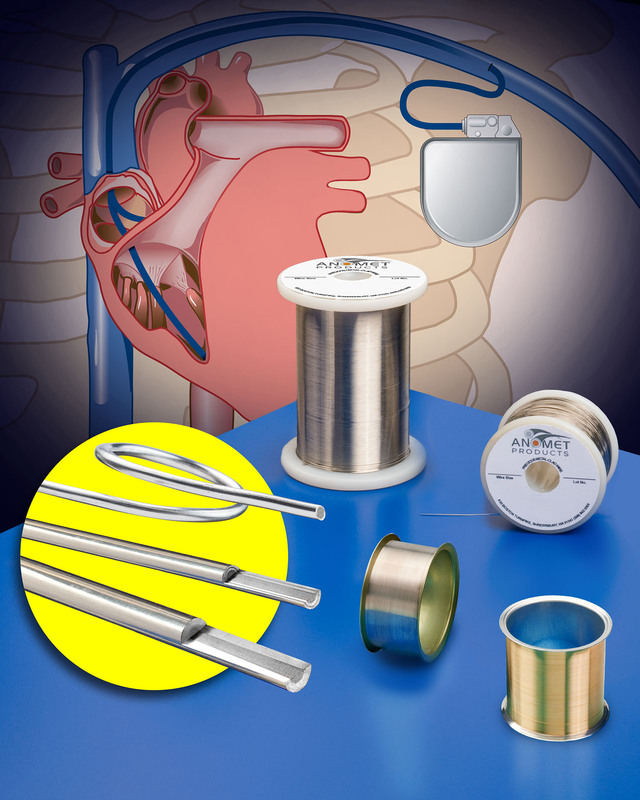 Anomet Medical Clad Metal Wire is priced according to configuration and quantity. Samples and price quotations are provided upon request.